Tintinhull Garden, complete with working kitchen garden and orchard, lies in the charming village of Tintinhull, Somerset. Created last century around an attractive 17th century manor house, it is one of the most harmonious small gardens in Britain. 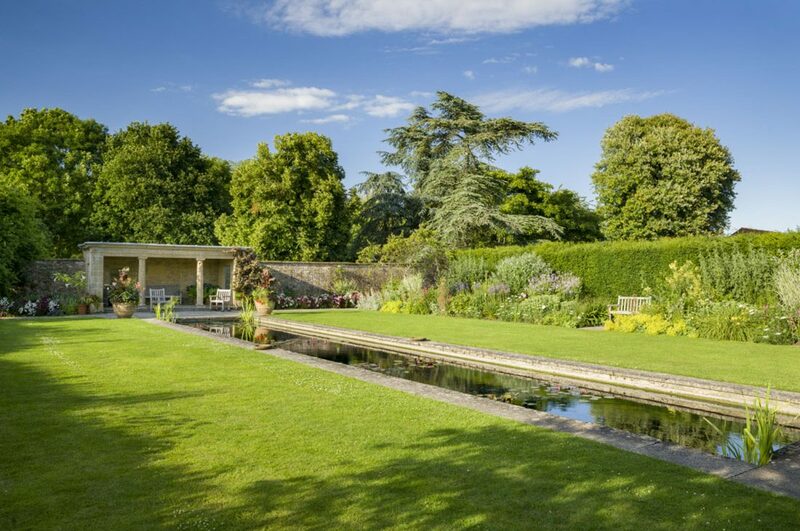 Glittering pools, secluded lawns, colourful borders and clipped hedges provide the perfect spot to relax and unwind away from the hustle and bustle. Created by Phyllis Reiss, who wanted her garden to be a peaceful place where people could sit and relax, it is a formal garden, informally planted. Mrs Reiss’ vision lives on in the ‘living rooms’ of colour and scent. The Pool Garden is at the heart of Tintinhull Garden. Dedicated to the memory of Mrs Reiss’ nephew, a Fleet Air Arm fighter killed in 1945, this ‘room’ is a quiet, contemplative area. It was designed as a reflective space, with contrasting borders of strong and pale colours facing each other. The Summer House provides a place to sit and enjoy the dragonflies and swallows swooping over the pool, and to lose yourself in the beauty of the garden.